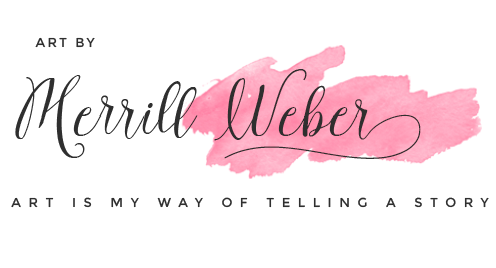 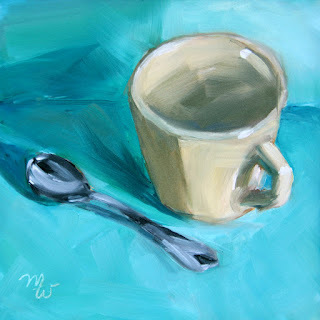 I love painting everyday objects! 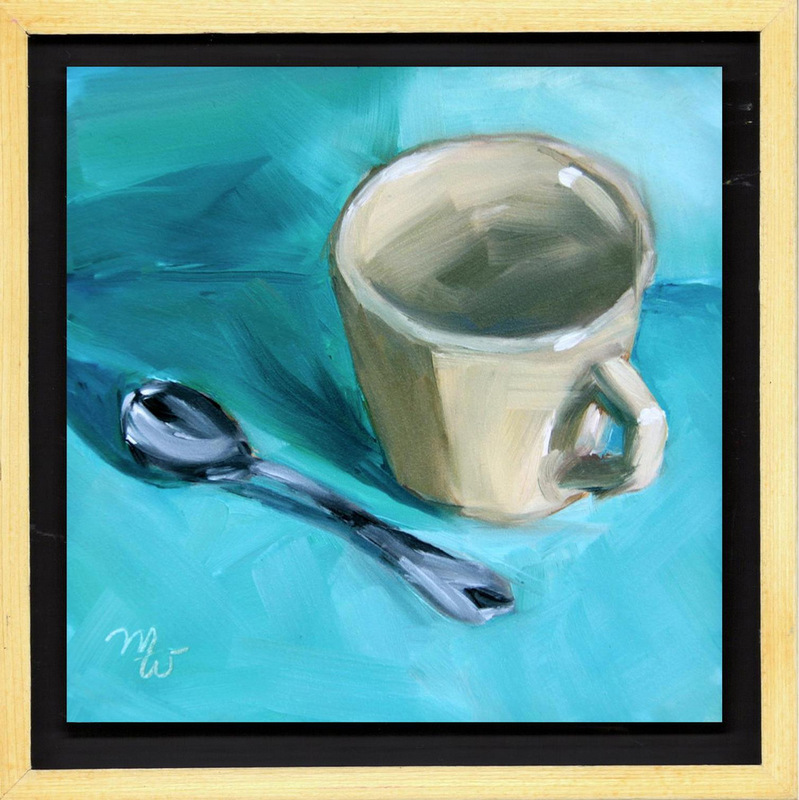 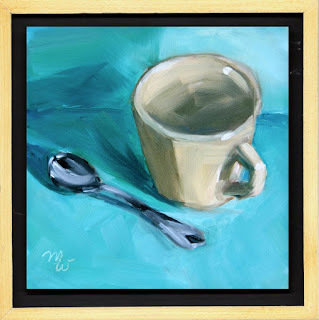 The turquoise background really makes the cup and spoon pop! 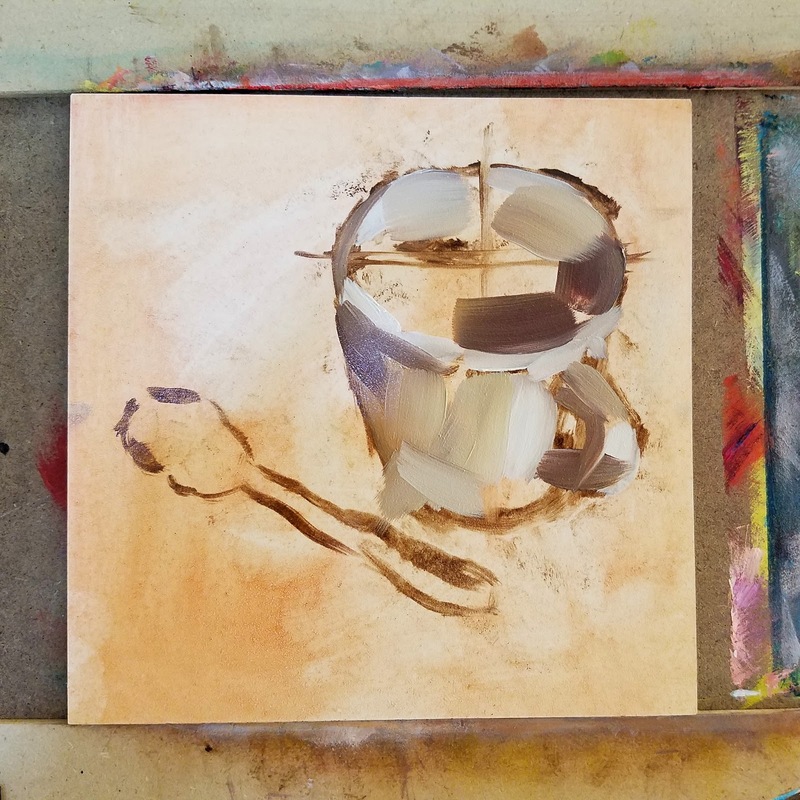 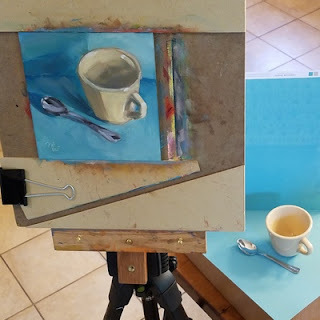 I've included fun work in progress photos of "Coffee or Tea" on the easel.